Teachers trained with strategies and techniques from the Mindful School, praise the training and their classrooms after implementing it. Another awesome mindful school and classroom! Mindfulness, one of the many forms of meditation, is gaining recognition in educational systems throughout the world. 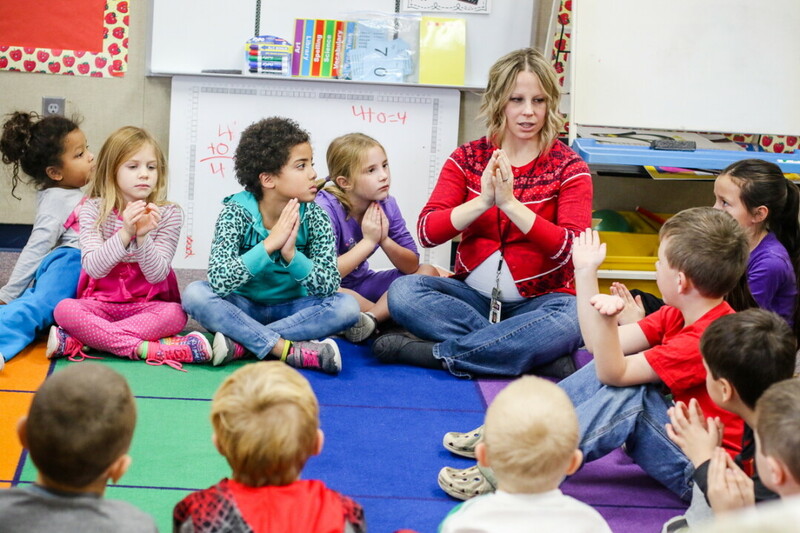 In the Chippewa Valley, there are many teachers either applying formal mindfulness skills or skills such as deep breathing to help students be more aware of their own bodies, emotions, and environments. 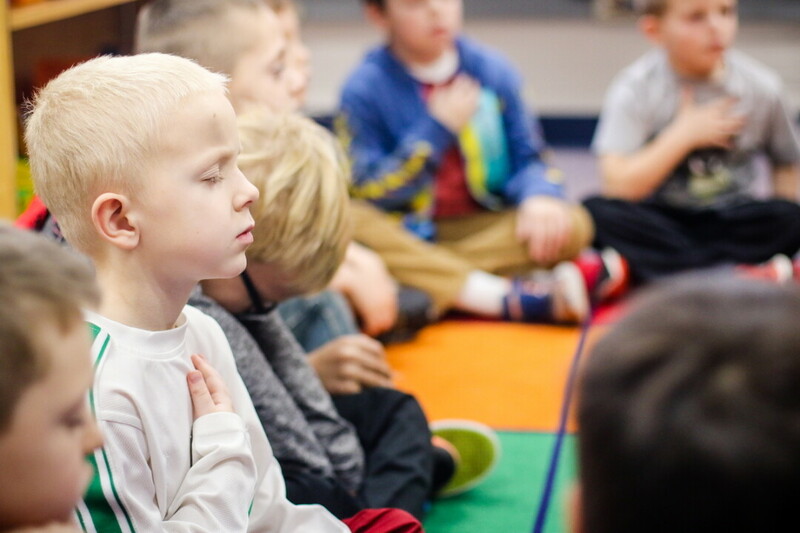 Mindfulness in the school setting is showing positive results in the areas of improved attention, emotional regulation, increased compassion, resiliency, adaptability, and improved calming capabilities for students, according to Mindful Schools, an organization that teaches mindfulness to educators. Happiness and having a sense of well-being are skills – just like learning core academics – that many kids are not taught or modeled. Seveland emphasizes to students and other teachers that “mindfulness does not always mean being still or quiet, but being aware of where our attention is, regardless of what we are doing.” She noticed her students who practice mindfulness in the classroom on a regular basis are more able to notice when focus is lost and are able to bring their attention back to the task at hand by using strategies she teaches. “Other teachers have stated that their students are asking for moments during the day to practice paying attention to their breathing together,” she said.